It is with deep regret that the Board of Vallibel Power Erathna PLC announces that Mr. L D Dickman, a member of the Company’s Board, passed away on August 11, 2015. 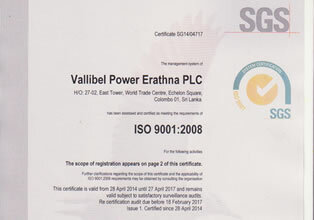 Mr. Dickman had been with Vallibel Power Erathna PLC since 2010, during which time he provided an invaluable contribution to the Company. Mr. L.D. Dickman held a BA in Public Administration from the Vidyodaya University and MSc in Town & Country Planning from the University of Moratuwa. Before his appointment to the Vallibel Power Board, he was the Deputy Director General (Infrastructure) of the Board of Investment of Sri Lanka before his retirement from BOI in 2009 and had been working since its inception in 1979. He held various managerial posts during his long service in the Board of Investment. He had been working as a Deputy General Manager of Lanka Mirigama Special Economic Zone (Private) Limited. Mr. Dickman is a Past President of the Institute of Town Planners of Sri Lanka and also had been a visiting lecturer in Town and Country Planning at the University of Sri Jayawardenapura and the University of Moratuwa. He had also attended a number of Executive Development Programs and Investment Promotion Programs in various countries at the international level. 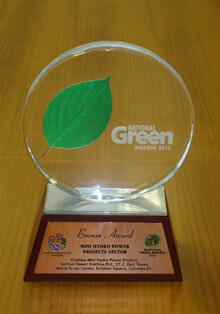 Kiriwaneliya Mini Hydro Power Project secured the Silver Award under Mini Hydro Power Category at the National Green Awards 2015. The project was awarded Bronze in year 2014 and the best green practices of the project led it to Silver this year. The Award Ceremony was held on Monday, October 5th 2015 under the patronage of President Maithripala Sirisena. 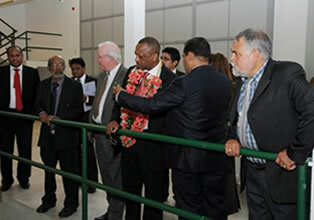 A 13 member Sri Lankan energy sector team, which comprises of industry executives and academics, will visit Bavaria, Germany during mid-June in order to take part in a training program on 'Renewable Energy'. Minister of Power and Energy Patali Champika Ranawaka in presenting 'Sri Lanka Energy Sector Development Plan for a Knowledge-based Economy, 2015-2025' informed the public of an impressive goal of reaching 100% energy self-sufficiency by year 2030. The Ministry has embarked on an ambitious action plan and as the first phase, proposes to provide electricity access to every citizen in Sri Lanka during the year. The Minister's vision is presented as challenges, potentials, targets and an energy policy with a view for a cleaner future through green energy. Highlights of Minister's proposal and the challenges ahead are discussed below.